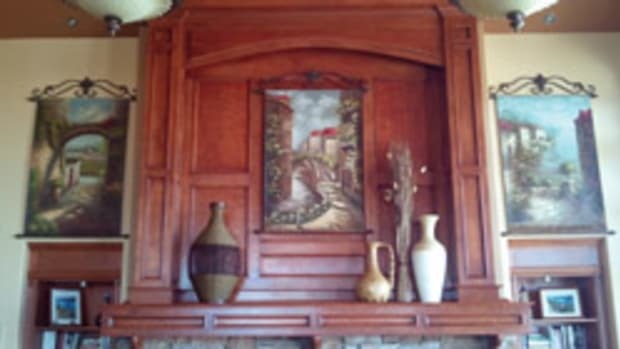 Located in Flagstaff, Ariz., Distinctive Woodworks Inc. is a designer, manufacturer and installer of fine cabinets, moldings and wood interiors for commercial and residential clients. Owner Brad Clark has a team of eight experienced professionals focused on quality and customer satisfaction. 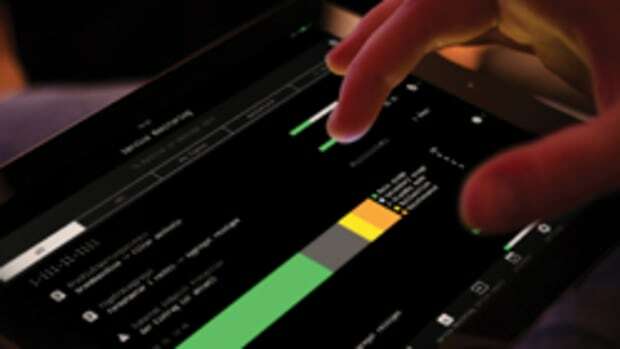 From design to install, the team understands its role in producing well-built products on time. 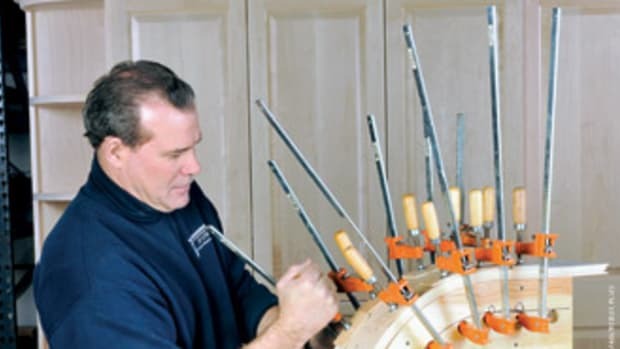 Clark describes himself as an old-school cabinetmaker surrounded by high-tech people. His knowledge of the industry and his dedication has kept business rolling in, even as his competition dwindles because of the challenging economy. Yet he remains humble and knows that every day requires the same amount of hard work as the last in order to keep the doors open. “It hasn’t been easy for me; it’s been a struggle. In a small town, you’ve got to be diverse. You can’t find a niche market. You’ve got to be able to do a wide variety of things to survive,” says Clark. Clark grew up in Redlands, Calif., where he developed an appreciation for working with his hands, particularly on cars, but also at woodworking. He eventually took up geology and attended Northern Arizona University in Flagstaff for a year before deciding that route was not for him. He moved back to California where he got in touch with his seventh-grade shop teacher, who owned a cabinet shop. Brad Clark Of: Distinctive Woodworks Inc. Location: Flagstaff, Ariz. Shop size: 8,000 sq. 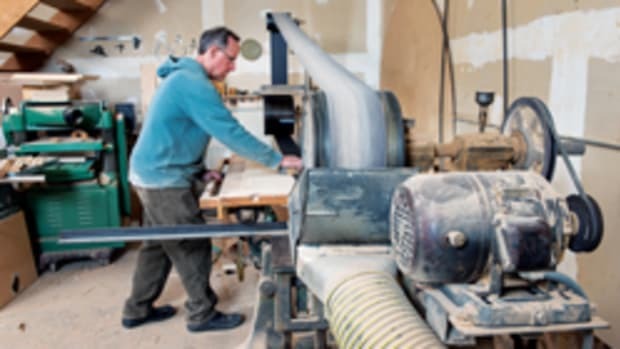 ft. Employees: Eight Average annual gross: $980,000 About: Distinctive Woodworks is a custom woodworking shop in northern Arizona established in 1985. Learning while he earned, Clark advanced quickly and felt that woodworking was his true calling. In 1982, he and his wife, Jayne, moved to Flagstaff where he worked for several cabinet shops. At one of them, opportunity knocked when a boss decided he’d rather focus on modular cabinets than custom work. 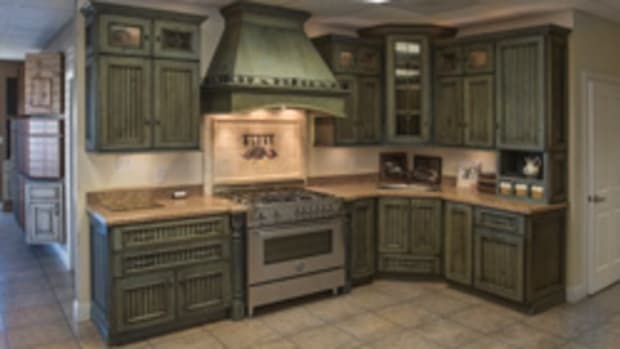 Meanwhile, Clark built his own designs under the name Distinctive Woodworks. Slowly but surely, his customer base grew. “You earn a customer’s trust and they call you back. I didn’t have any great marketing strategy, just one referral after another,” says Clark. Still, it took him five years before he could afford a shop to call his own. Initially, Clark’s clients were based mostly in Flagstaff, about 140 miles north of Phoenix. 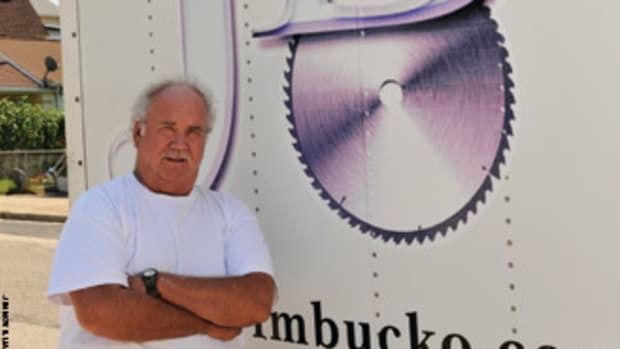 He has since branched out to neighboring communities with residential work accounting for about 60 percent of his business. For a time, Flagstaff’s growth meant more commercial work, but the sluggish economy has taken some of that away. “When communities were expanding and a subdivision came, that would prompt more commerce. When Flagstaff got to 50,000 people, we saw a Home Depot, Olive Garden and Red Lobster come in. It takes a certain population base to support those kinds of stores and once Flagstaff reached that milestone, there was a lot of commercial work. Along with that, hospitals expanded, doctors, dentists, law offices, chiropractic offices and ice cream parlors came to town, and they all needed commercial casework. 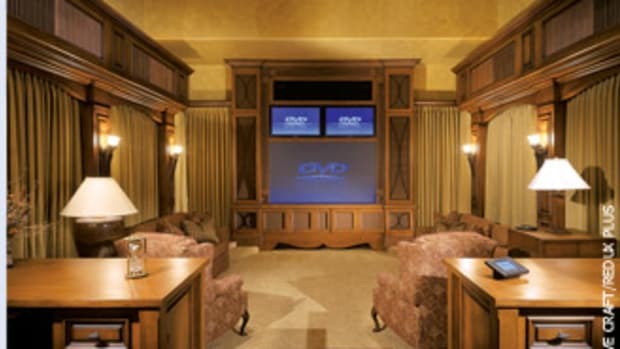 Designs ideas are usually the result of a brainstorming effort between Clark and his clients. “We’ll use their magazine pictures and give our own recommendations about what does and doesn’t work. 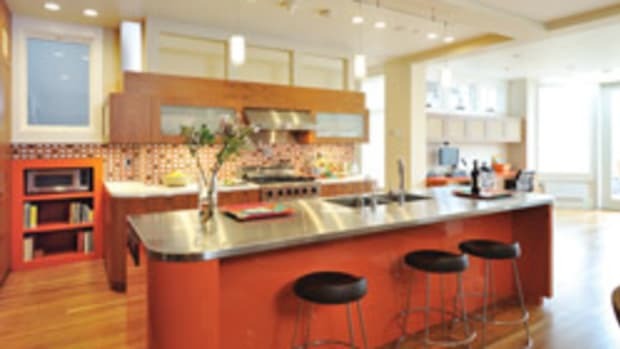 We’ll work with interior designers on helping select stain colors, etc. 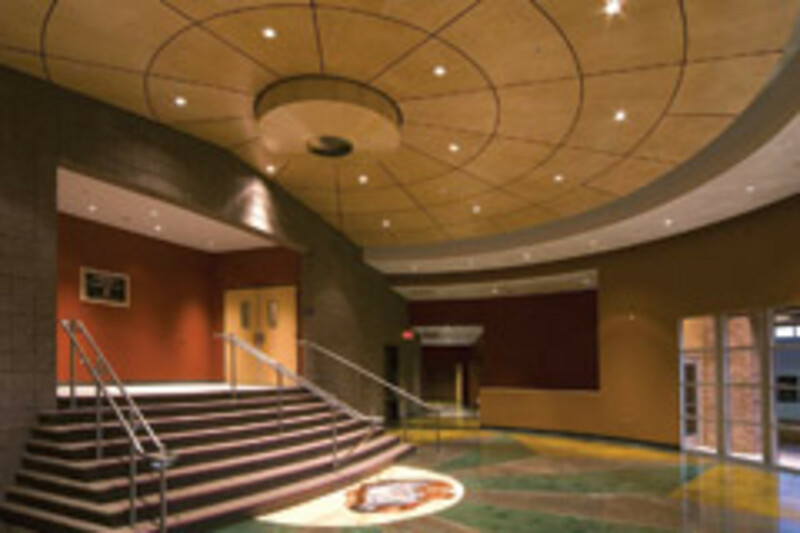 A lot of times the designers have a good knowledge of solid surface and laminate colors. Client preferences are mostly about individual taste, which Clark attributes to Arizona’s rapidly increasing population. Finishing preferences have become very sophisticated through the years, says Clark. The most common wood requested is alder, both knotty and clear, followed by cherry and oak. 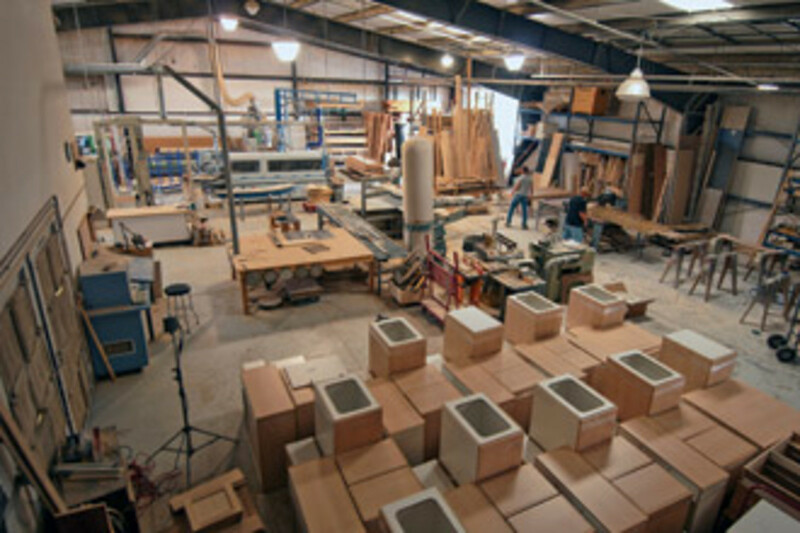 Veneer over MDF accounts for about 20 percent of the shop’s work. Clark purchased his 8,000-sq.-ft. shop in Bellmont, west of Flagstaff, in 2005. 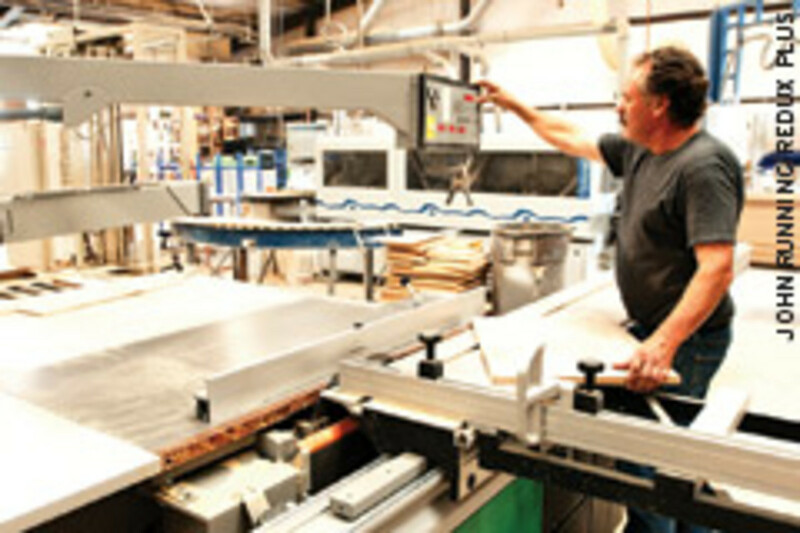 He acquired a Biesse CNC router soon after and the workflow improved. Clark says he gets much more accurate work done in much less time, and that the machine is comparable to having an additional two employees. He admits he needed a push to make the purchase. Clark currently has eight employees, with four in the office, two on the shop floor, and two installers. Clark wears many hats, as needed, as the estimator, purchaser, shop supervisor and installer. He’s been more hands-on than ever before to keep up with the workload, which is improving his prospects. Lately, Clark has only seen incremental increases in his profit margins, but he remains hopeful because of his current backlog. He says one obstacle that stands in the way of his financial goals is the practice of underbidding by competitors. “When the competition’s bidding is really low you’ve either got to give up and file for bankruptcy or get smart, analyze the competition and find a way to beat it,” says Clark, who makes a point to look at the way his competitors handle their business matters and improve his own based on their mistakes. He has already learned that he can be more efficient by doing better accounting and pouring over drawings to assure there are no mistakes. “I’m hoping this year that with the successful bidding we’ve done in the commercial sector, I’m going to reach $1 million gross. We’ve got our work cut out for us and we’ve got to really push,” he says, adding that his best year was 2008 with $1.2 million and the same number of employees. Clark says that, aside from the financial challenges, problems can arise throughout the course of the project. There can arise a great deal of tension stemming from decisions that need to be made, clients that change their mind, delays of materials or jobs, and mistakes. But the finished product makes everything worth it in the end.